You know, most some days you don't feel like doing anything. But then on other days, you just have an uncontrollable, indescribable, unexpected desire...for a Dance Party. Don't pretend like you don't know what I'm talking about it. I know you need it too sometimes. So to help you quench that inexplicable foot-tapping, booty-shaking thirst, I'm bringing to you something spectacular: The Carlton Dance Party. Dang, that brings back some Fresh Prince of Bel Air-style nostalgia, doesn't it? 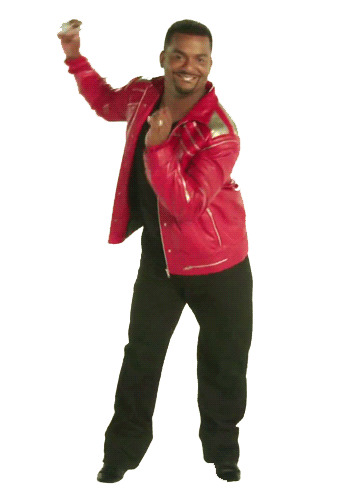 And doesn't Carlton know how to work that Michael Jackson 'Beat It' jacket?! A hee hee. But wait. There's more! I just happened to come across a video from last March of The Graham Norton Show. The video features Will Smith, his son, and none other than our man Carlton (aka Alfonso Rebeiro) doing The Carlton. It was pure Heaven, folks. I know, I know. I'm easily amused. But if you were ever a fan of Alfonso, the Fresh Prince, or just The Carlton, you gotta see it for yourself. So what happens when a little girl requests a birthday cake from a local grocery store bakery, one that she wants to look like a doll in a dress? WTF, man?! You had one job. Now see what you've done.